There are NEW Solar Co-op Information Sessions this Fall! Click HERE to find one near YOU. 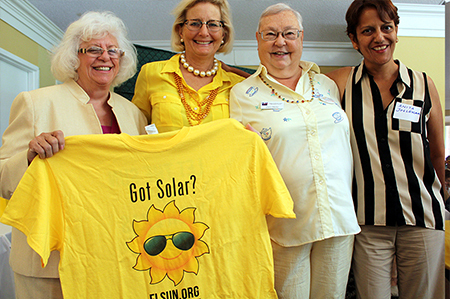 Anyone interested can find more on the website Solar United Neighbors/Palm Beach. All Co-op members will be hearing from the chosen Installer, Vinyasun. Vinyasun will evaluate each household’s needs and present a proposal. When a household signs the contract from the proposal, the solar is installed. Installations will continue for the next few months. We hope that this will add at least 40 new households to solar power.